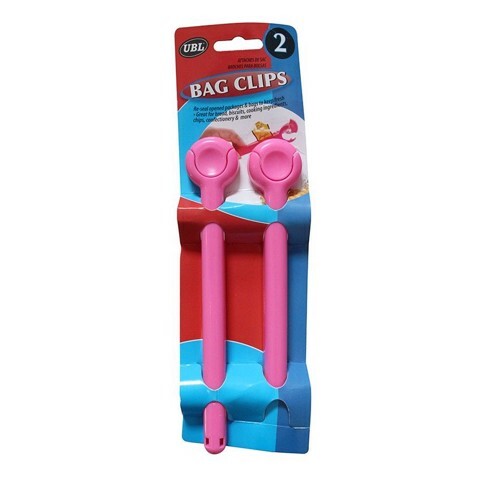 Bag Clips 2Pk 3Asst. 19 x 3cm. 3 Assorted Colours - White | Pink | Blue. ABS Plastic. 38G Packaging: Backing Card.